Gov. Brian Sandoval joined 10 other governors on Wednesday to urge Congress to act quickly to craft a bipartisan solution to protect young immigrants from deportation. The bipartisan group of governors, in a letter sent to House Speaker Paul Ryan, House Minority Leader Nancy Pelosi, Senate Majority Leader Mitch McConnell and Senate Minority Leader Chuck Schumer, underscored the urgency of protecting the 800,000 young people left in limbo after the president’s decision to phase out the Deferred Action for Childhood Arrivals (DACA) program earlier this year. Congress has since failed to negotiate a permanent replacement, and McConnell indicated yesterday that there wouldn’t be a deal on DACA until 2018. Before Trump ended DACA, so-called DREAMers could apply to receive protection from deportation, Social Security numbers and work permits if they were brought to the United States without authorization as children by their parents. The governors wrote that more than 12,000 DREAMers have already lost their protective status since the president’s decision to end the program and are vulnerable to deportation. The letter noted that DACA recipients have already undergone extensive background and security checks to attend college and work, many of them aspiring teachers, doctors and scientists. Not crafting some sort of legislative fix would imperil DACA recipients and their families and “destabilize our schools, workplaces and communities,” they wrote. Other governors signing onto the letter include Democratic Govs. John Hickenlooper of Colorado, Mark Dayton of Minnesota, Steve Bullock of Montana, Tom Wolf of Pennsylvania and Roy Cooper of North Carolina, Republican Govs. John Kasich of Ohio, Charles Baker of Massachusetts, Phil Scott of Vermont and Gary Herbert of Utah and Independent Gov. Bill Walker of Alaska. Many of those governors signed onto multiple letters earlier this year urging Congress to act to fix the nation’s health-care system as it debated taking action to repeal and replace the Affordable Care Act. Progressive groups here in Las Vegas have continued to hold events this month to raise awareness over the lack of a legislative fix to DACA, including a vigil outside the Lloyd D. George building in downtown Las Vegas on Dec. 6. 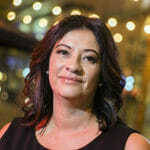 Perez, who came to the United States from her native México when she was 13 years old, told The Nevada Independent en Espanol that before being a DACA recipient her income was below the minimum wage, but thanks to the program, she now has a better-paying job that offers benefits for her two children. In Nevada, about 13,000 DREAMers are enrolled in DACA. Although the majority of DACA recipients — 548,000 — are from Mexico, approximately 60,000 beneficiaries are from El Salvador, Guatemala and Honduras, according to a report from Pew Research Center.